Skinning, known as the sport of hiking uphill on your skis, has taken off as a popular activity. 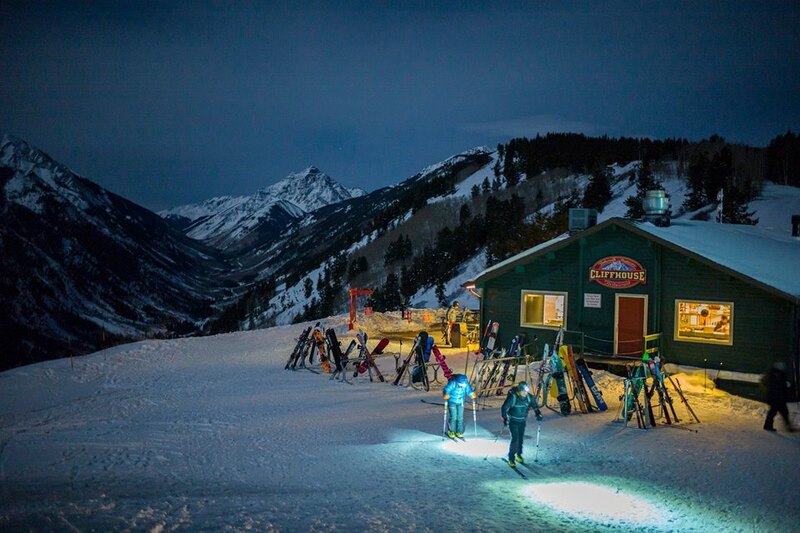 People have been skinning for several years now, however the popularity of ascent on ski areas has grown in demand the past few years. Every resort has their own uphill access policy, so be sure to understand the rules before slapping skins on your skis and trotting uphill. 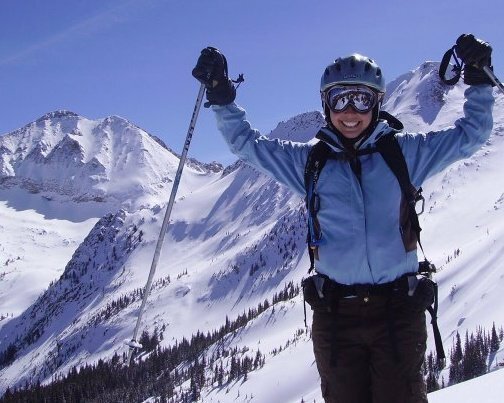 Some resorts charge a small fee, other resorts allow access uphill on designated terrain, and some resorts close uphill skiing entirely, or not permitted during operating hours. Typically, uphill skin access is noted on the resort website, but always make a call or talk with someone in the information area before you go. At Buttermilk mountain in Aspen, there are a few events supporting uphill access. The Cliffhouse restaurant at Buttermilk features full moon dinners and Friday Morning Uphill Breakfast club. Skin or hike up Tiehack on Buttermilk to dinner at Cliffhouse under the full moon. Get there early to enjoy free hot chocolate from 5-6 pm around the Cowboy Cauldron over a roaring fire. À la carte dinner options, snacks and a cash bar will be offered inside Cliffhouse. The Cliffhouse is open from 5pm–8pm. Dynafit will be handing out swag at the Cliffhouse and you can enter to win a full Dynafit Uphill kit, one male and one female will win and drawing will happen at the end of the season. RESQWATER and Bobo's Oat Barswill also be handing out free samples! Want to skin but need gear? Four Mountain Sports has Dynafit uphill gear available for rental. This is a great way to give uphill skinning a try. Especially when food and hot chocolate are available to reward your activity at the top. Full Moon Dinner dates are Sunday, January 20, Tuesday, February 19 and Wednesday, March 20. The Friday Morning Uphill Breakfast Club, has become a locals favorite event and great way to get out on the slopes while enjoying amazing food and company! The Cliffhouse breakfast will be available for purchase from 8:45 a.m.-10 a.m. with coffee, tea and hot chocolate, an oatmeal and yogurt station featuring dry quick oats in a mason jar ready to be prepared as well as a toppings bar filled with healthy add-ons. A hot breakfast will also be available with two menu options; a signature Cliffhouse breakfast fried rice with a farm egg or thick-cut French toast with crisp bacon.